Where does your organization operate best? Are you an on-prem enterprise, or do you want to be cloud-based? Do your employees work remotely? Are you an MSP with multiple clients nation/worldwide? All of these questions of location are essential when considering JumpCloud over Azure AD. As a primer, Azure AD is designed to be utilized in a complementary fashion to the legacy on-prem directory, Microsoft Active Directory (MAD or AD). By using Azure AD, IT admins can link their on-prem MAD instance to cloud-based resources. Besides that, however, Azure AD is designed more to be a user management system for Azure, rather than a sort of cloud-based replacement to on-prem MAD. On the other hand, JumpCloud is completely cloud-based. For on-prem resources, JumpCloud takes advantage of the usefulness of LDAP to federate access, and the JumpCloud Agent can be downloaded onto any system regardless of location. With the JumpCloud browser console, user identities and systems can be managed remotely. JumpCloud also features a multi-tenant portal that enables MSPs to easily manage their spread of clients, all from a single pane of glass. When it comes to systems, which OS does your organization need to leverage: Windows®, Mac®, or Linux®? For many of today’s businesses, the answer is probably a heterogeneous blend of all three. Bring Your Own Device (BYOD) policies are also gaining a lot of traction in companies that focus on employee comfort. 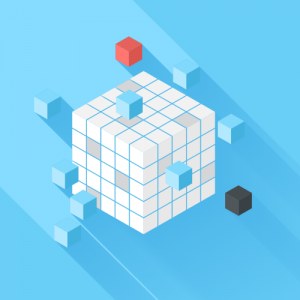 Azure AD, as a Microsoft product, is designed primarily for Windows systems, and generally needs identity bridging software to graft macOS or Linux machines into its fold. Since it’s a third-party service, JumpCloud is platform agnostic, and provides the same functionality regardless of OS. Also, with JumpCloud’s RADIUS-as-a-Service and Policy Management, admins can tightly manage BYOD access to WiFi and other networks, and remotely dictate how those systems behave in their IT environment. How does your company get work done? Are you based in G Suite or Office 365, or perhaps both? Does your infrastructure use AWS or some other IaaS solution? In this case, both Directory-as-a-Service and Azure AD are fairly adept at linking to these solutions in a single sign-on (SSO) experience. JumpCloud’s approach, however, creates a True Single Sign-on ™ experience by providing users with one identity to access resources regardless of their provider, thanks to JumpCloud’s support for LDAP, SAML, and other standard protocols. Other key factors to consider are your organization’s approach to security and compliance, as well as one of the biggest decision blocks, cost. All of these questions and many others are critical when it comes to choosing between JumpCloud and Azure AD. So, Why Choose JumpCloud Over Azure AD? Generally, for organizations that are cloud forward and cross-platform, JumpCloud will end up being the right choice. For those that are mostly on-prem, Windows-based, and aren’t interested in leveraging the cloud (or only leveraging Azure), Azure AD tends to make the most sense. In either case, however, most companies will find that, in the long run, next generation JumpCloud Directory-as-a-Service is the more future-proof solution. Serverless and cost-effective, JumpCloud takes directory services to a new level: one that’s cloud-based and Makes Work Happen™ for most any organization. 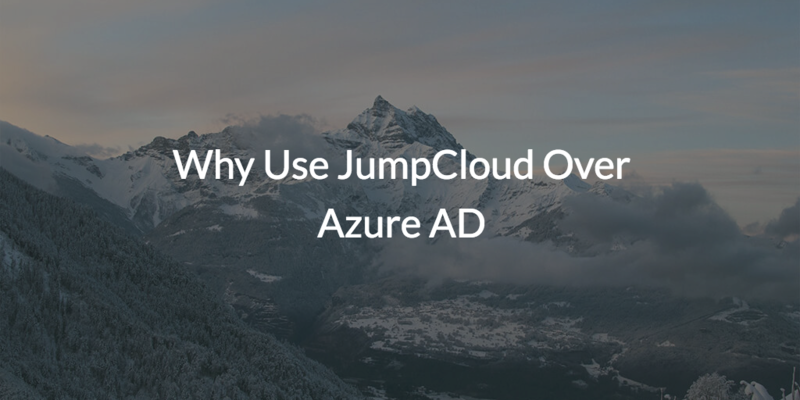 If your organization is considering choosing JumpCloud over Azure AD, you can contact us for more information or schedule a demo to learn more. As always, your first ten Directory-as-a-Service users are free, so by signing up for JumpCloud, you can take advantage of the product for free, too.